The final new campaign names and settings have been leaked for Left 4 Dead 2. The campaigns are titled Dead Center and Hard Rain, and they join Parish, Dark Carnival and Swamp Fever has the five total cooperative campaigns in the zombie survival title. 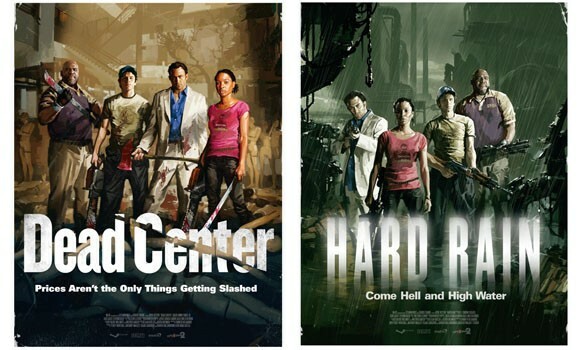 Hard Rain is set in a flooded industrial complex, while Dead Center takes place in a shopping mall. Of course this could all still be a rumor, as Valve has yet to confirm the leak. But if this is a fan made hoax, they did a damn good job on the iconic episode posters.